Gabriele Zannotti is one of the most talented virtual LEGO builders creating non-physical LEGO models these days, using Mecabricks.com with Bluerender to create images essentially undistinguishable from the real thing. When I saw this gorgeous, rusty Fiat 500 wreck, I zoomed in as close as I could, trying to figure out if I just wasn’t aware of some of these bricks in the colors Gabriele used, and I was convinced by the sticker on the license plate as well as what I could swear are genuine pieces of dust on the bricks. But then I was heartbroken to see that Gabriele had included this image in his Lego renders album. 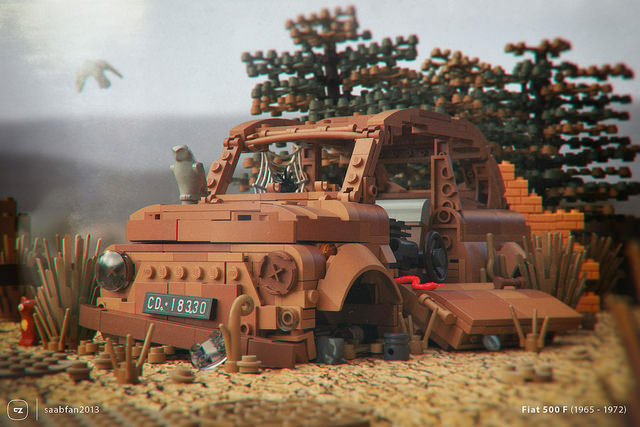 From the composition to the lighting, along with the design of the vehicle itself, this is a stellar piece of LEGO art, even if there isn’t a single piece of physical LEGO in it. 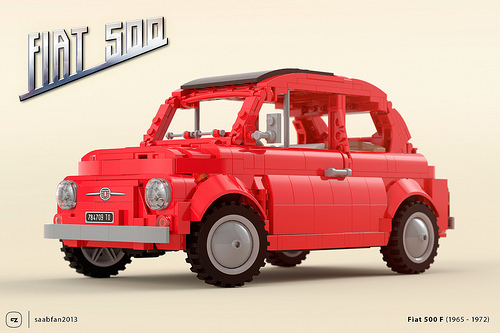 You can see a shiny new red version of the Fiat 500 in this other render.